Mercator Cargo has been running for over twenty years now and is still run and managed by the same founding family. Mr Paul (our MD) has been in the industry for almost forty years, and our imports and exports team have extensive knowledge of the freight forwarding industry. Mercator Cargo is an independent freight forwarder. But what does this mean to you as the import or export customer? Traditionally, independent freight forwarders have had the means and the advantage of offering their customers a high quality personal service. An independent freight forwarding outfit has excellent capabilities of being flexible with their customers, and the ability to be agile and respond quickly to their customers’ need for convenience. By having this valuable service, good rapport with customers, and formed links with other independent freight forwarders (via a global network), independent freight forwarders have the ability to offer just as comprehensive freight forwarding service, if not a better service than larger logistics companies. The advantage of an independent freight forwarder being a part of a global network, is also something which can set apart one forwarder from another. Mercator Cargo is a founding partner of the independent freight forwarder network Marco Polo Line. The global network is made up of other independent freight forwarders from all around the world. The advantage of being part of this network includes having personal contacts in almost every country in the world, local knowledge around the globe, ability to offer door-to-door services in most countries, and tried and tested worldwide partners. Independent freight forwarders, such as Mercator Cargo, have traditional strengths of innovative and bespoke premium services, teamed with the added value of thorough knowledge of their clients businesses and service. If you’re looking for a reliable service from an independent freight forwarder, then call us today to discuss your shipping needs – Tel. 02392 756 575. Email: sales@mercatorcargo.co.uk. If you are looking to begin international trade: buying your goods outside of the UK and importing them, there are some terms of delivery which you will agree with your supplier that are important that you understand. It is generally advised that you use ‘INCOTERMS’ when buying your goods internationally. INCOTERMS are a set of rules which have been issued by the International Chamber of Commerce. The terms outline both the buyer’s and the seller’s obligations and risk under given terms of delivery. The precise nature of these terms and their definitions can prevent misunderstandings between the buyer and seller and their obligations. The following are the main terms used for delivery (there are many others, but generally these are the ones to know about). EXW – Ex Works. The buyer is responsible for the door to door transport costs, destination taxes and duties, and marine insurance. It is the buyer’s risk from door to door. FOB – Free on Board. The seller is responsible for charges up to and over the ‘ship’s rail’ (the ship’s rail being the point where the container is lifted off the quay and over the side of the ship). It is the seller’s risk up to and over the ship’s rail. The buyer is responsible for the shipping costs from the port of departure to the place of delivery, marine insurance from the port of loading and destination duties and taxes. CFR – Cost and Freight. The seller is responsible for the FOB charges and ocean freight up to the named port of destination. It is the seller’s risk up to the FOB. The buyer is responsible for unloading from the ship, duties and taxes, and local delivery to the destination and marine insurance from the FOB. CIF – Cost Insurance Freight. Same as CFR (above), but the seller arranges and pays for the marine insurance up to the buyer’s door. We can offer all levels of service, from arranging every single aspect for you (e.g. door to door delivery, insurance, customs clearance, VAT & Duty payments, and so on), or just one part of your shipment for you, for example the ocean freight. If this has left you baffled and you’re not sure what to do next, then give us a call to discuss your shipment. We’d be happy to help you make sense of this and assist you with arranging your import into the UK – Tel. 02392 756 575. Email: sales@mercatorcargo.co.uk. Freight Forwarding – New to International Trade and Importing? If you haven’t dealt with international trade before, the business of importing your goods into the UK might seem like a bit of a challenge. It is a good idea to appoint a freight forwarder with the required knowledge and experience to assist you with your shipments. Not only can a good freight forwarder arrange the actual shipment for you from A to B, but they should be able to impart some useful advice when it comes to buying your goods abroad. – Make sure that you will get your goods once you have paid, or have legally agreed to pay. 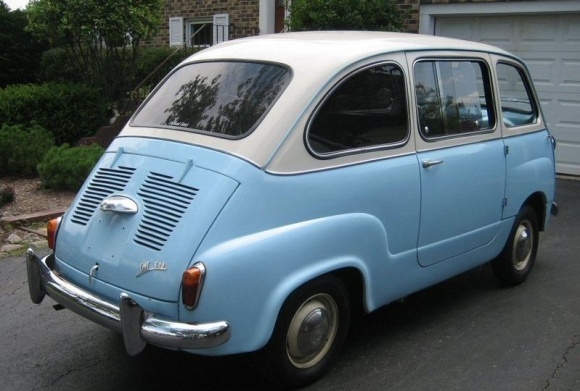 These are just a few pointers to consider when looking to import into the UK. If you are at this stage, then it will be worth contacting a freight forwarder to obtain a quote for the importation of your goods. An experienced freight forwarder will be able to offer you a variety of different levels of shipping services – for example, a comprehensive service from door to door, including all insurance, customs clearance, VAT & Duty payments to HMRC etc, or just an aspect of your shipment, for example just the ocean freight. If you’re looking to import goods into the UK, then contact Mercator Cargo today, our family-run business can offer you support and advice when it comes to importing for the first time – Tel. 02392 756 575. Email: sales@mercatorcargo.co.uk. Freight Forwarding – Which UK Port Shall I Import My Goods Through? Mercator Cargo is an independent freight forwarder, based in the UK in Portsmouth. Having been running for over twenty years, with the same management in situ, Mercator has a wealth of experience in importing goods into the UK via various ports. As an independent business, still run and owned by the same family, we are able to offer our customers a comprehensive customer service, and offer different levels of freight forwarding services depending upon your requirements. From some locations, your vessel may only call at one port in the UK, in which case, you do not need to worry about making a decision as to which port to use. Depending on where you are importing from, you may choose to import your goods into the UK via the Port of Southampton. Located on the South Coast of England, with good transport links, it may be your preferred choice for your cargo to be unloaded into the UK. We also operate the majority of our UK imports through Felixstowe and Tilbury (often preferred choices of container ports for deliveries further North). Both with excellent transport links, and capacities to handle a great deal of cargo on a daily basis. Your choice of import container port in the UK may also take into account sailing times of the vessel your cargo is on. Some vessels will just call at one container port in the UK, whereas others may call at several. Which port they call at first, may be your choice of unloading if you wish to have your goods in the UK slightly sooner. The below video clip is taken from the BBC’s show ‘Sea City’ which followed the workings of Southampton container port. This particular clip shows the operation of the cranes unloading the containers from the vessel at the port. If you’re looking for an independent freight forwarder to handle your UK import, then call us today to discuss your requirements – Tel. 02392 756 575. Email: sales@mercatorcargo.co.uk. A new container port is due to open later this year on the north bank of the River Thames. London Gateway is said to be the UK’s first deep water shipping port, and one of Europe’s largest centres for logistics. As container ships grow in size, London Gateway will be an ideal choice when using these larger container liners for importing and exporting from the UK. The port will increase the UK’s container handling capacities, and is aiming to be one of the most efficient ports in the UK. Alternative ports in the UK currently include Felixstowe, Southampton, Hull and Liverpool. The new container port will add 3.5 million TEU (equivalent 20 foot containers) to the UK’s container handling capacity. 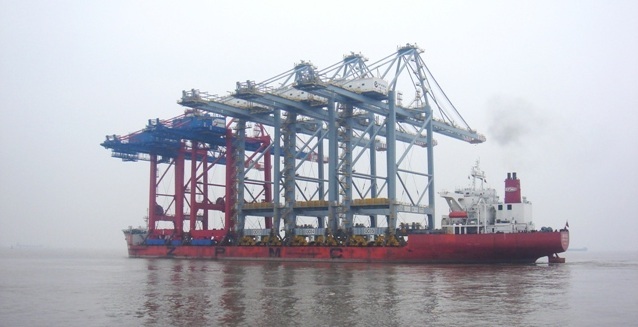 Record-breaking cranes were recently delivered to the London Port. Five in total, these cranes will be able to handle the world’s largest container vessels. The cranes are said to be taller than the London Eye, and can reach further than is currently required when loading and unloading the largest of the container vessels currently sailing. This will ensure the port’s future, as container ships are becoming larger all the time. The cranes will be able to reach across 25 containers on the container ships, and will lift up to 80 tons at a time. Container ships have currently grown to hold up to 18,000 TEU (compared with just 6,000 TEU, 50 years ago). If you’re looking for a freight forwarder to handle your shipment from or to the UK, get in touch. Tel. 02392 756 575. Email: sales@mercatorcargo.co.uk.